The recent expansion of GPCR crystal structures provides the opportunity to assess the performance of structure-based drug design methods for the GPCR superfamily. Molecular Mechanics/Poisson-Boltzmann Surface Area (MM/PBSA)-based methods are commonly used for binding affinity prediction, as they provide an intermediate compromise of speed and accuracy between the empirical scoring functions used in docking and more robust free energy perturbation methods. In this study, we systematically assessed the performance of MM/PBSA in predicting experimental binding free energies using twenty Class A GPCR crystal structures and 934 known ligands. Correlations between predicted and experimental binding free energies varied significantly between individual targets, ranging from r = − 0.334 in the inactive-state CB1 cannabinoid receptor to r = 0.781 in the active-state CB1 cannabinoid receptor, while average correlation across all twenty targets was relatively poor (r = 0.183). MM/PBSA provided better predictions of binding free energies compared to docking scores in eight out of the twenty GPCR targets while performing worse for four targets. 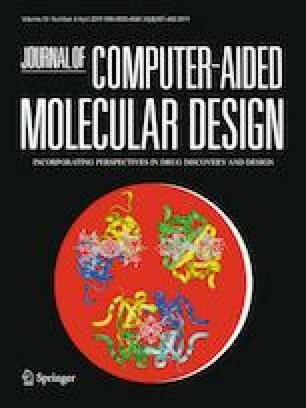 MM/PBSA binding affinity predictions calculated using a single, energy minimized structure provided comparable predictions to sampling from molecular dynamics simulations and may be more efficient when computational cost becomes restrictive. Additionally, we observed that restricting MM/PBSA calculations to ligands with a high degree of structural similarity to the crystal structure ligands improved performance in several cases. In conclusion, while MM/PBSA remains a valuable tool for GPCR structure-based drug design, its performance in predicting the binding free energies of GPCR ligands remains highly system-specific as demonstrated in a subset of twenty Class A GPCRs, and validation of MM/PBSA-based methods for each individual case is recommended before prospective use. The online version of this article ( https://doi.org/10.1007/s10822-019-00201-3) contains supplementary material, which is available to authorized users. All authors gave approval to the final version of the manuscript. This research was supported by Taylor’s University through its Taylor’s University Flagship Research Grant Scheme under grant number TUFR/2017/002/10 and Taylor’s PhD Scholarship Program.